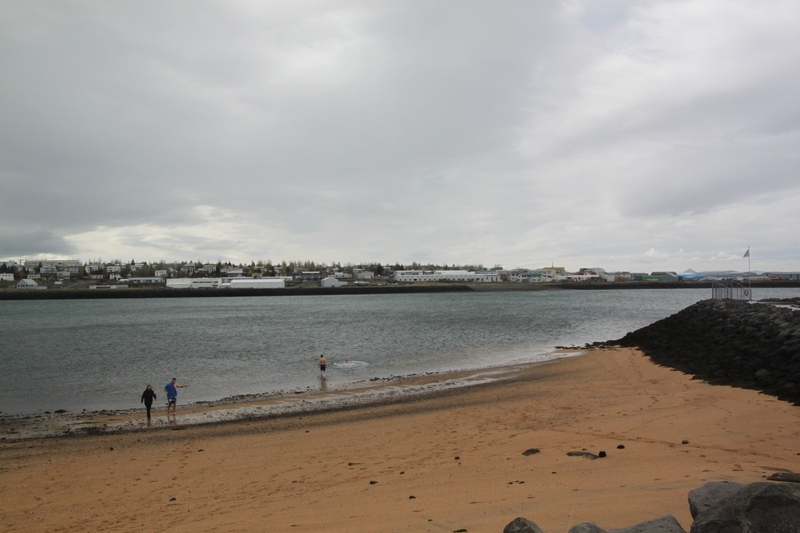 Imagine this – in Iceland there is a beach with golden sand where you can go swimming anytime of year, winter or summer in a warm sea. It doesn’t matter what the weather is like – snow, ice, biting winds, the sea here is always warm. It sounded like such a great thing to do, we packed our swimsuits and headed there. We spent a couple of hours at the Perlan, this beach is not far from there. We strolled through the woods, down to the coast. 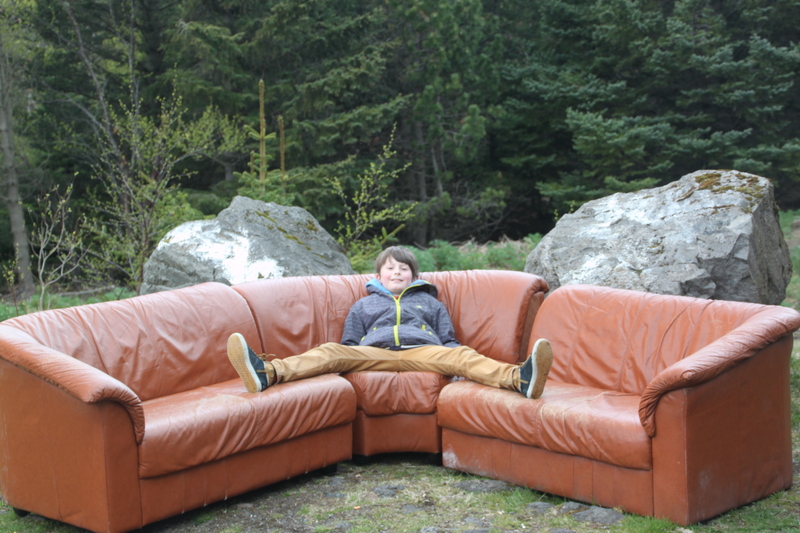 It’s a lovely walk, a bit disconcerting to see a big leather sofa in the middle of the trees, but our 9 year old treated his as his own unexpected trampoline. Nautholsvik beach is open every day all year round. The sea around Iceland is far too cold to swim in. Apparently there is not enough heat for the sun to warm it up, but the volcanoes, geysers and hot springs can do a great job at that. 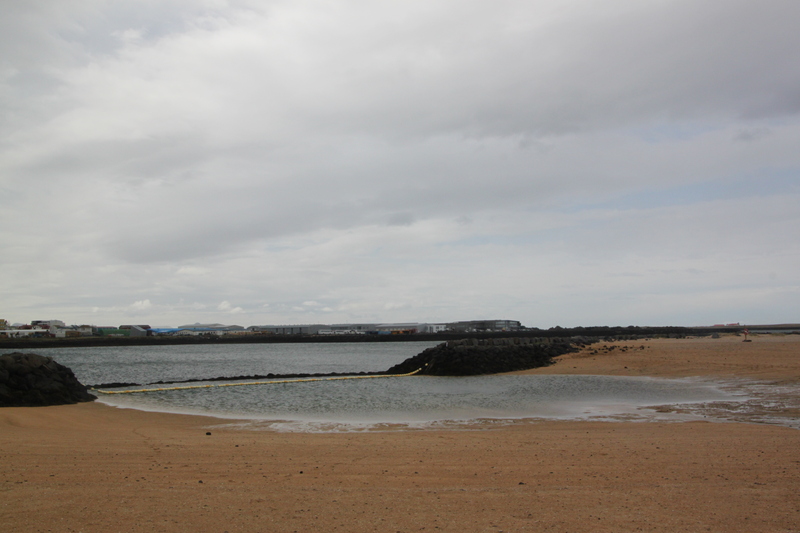 They have built a little lagoon and divert geothermal water there to make the sea warm. The golden sand is straight from Morocco and there is a hot tub too. As we approached the beach, the wind was howling and it was soooo cold. The thought of getting changed into swimming costumes was suddenly far less appealing. Our 9 year old declared it an insane idea, so we went with that. We did see quite a few hardy souls braving the weather – they had bodies the colour of lobsters and I was astounded how they could get from the changing rooms to the sea and not turn to a block of ice en-route. They were certainly good sprinters. 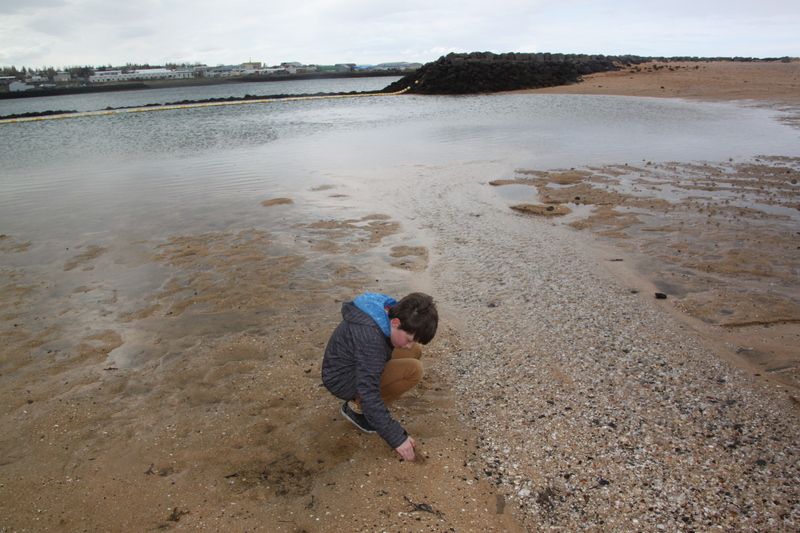 We played on the beach for a little while, the closest we got to a swim was dipping our fingers in the water – it was lovely and warm though! 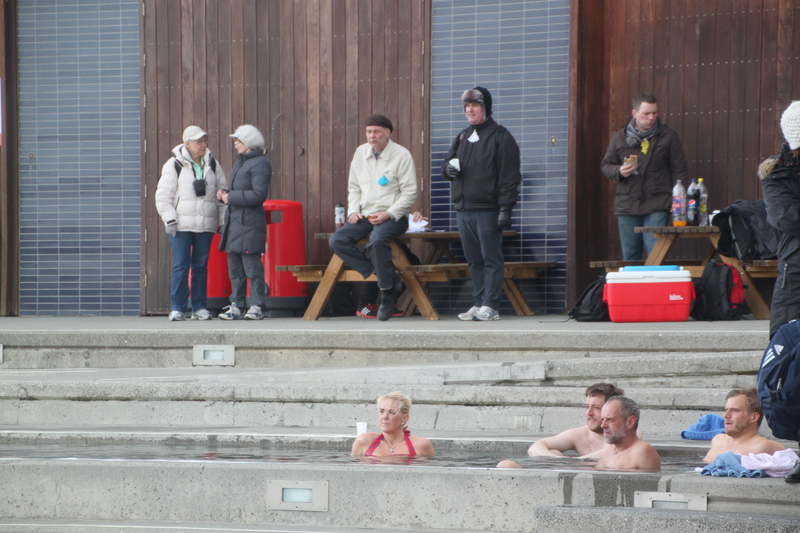 Check out the people in the hot tub – they are in swimming costumes, the people behind are in fur hats, multiple layers with mugs of steaming coffee to keep them warm. Amazing. We walked back to the city – a brisk pace to try and warm up. Lots of moaning from our 9 year old about being tired, but we kept him going. 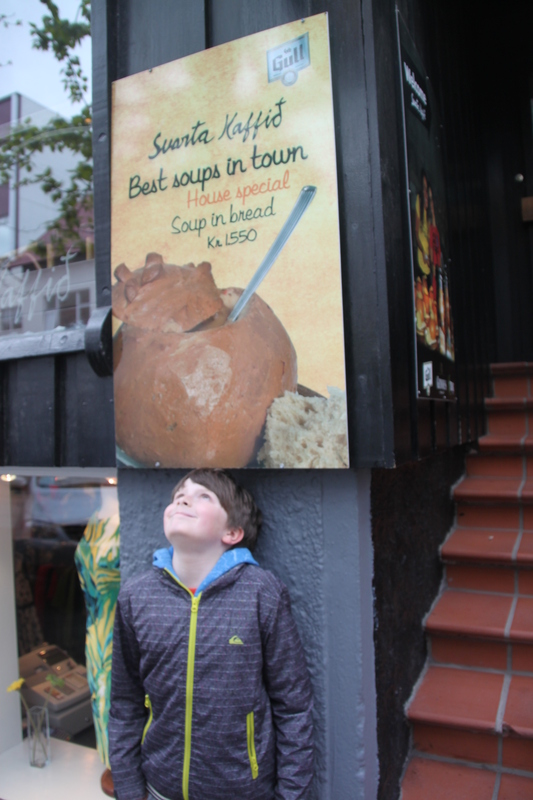 We knew just the place to head to for a warming lunch – Svarta Kaffi. We had spotted it earlier – a lovely first floor bar/cafe overlooking the main shopping street, so great for people watching. The big attraction though was their soup in a roll. 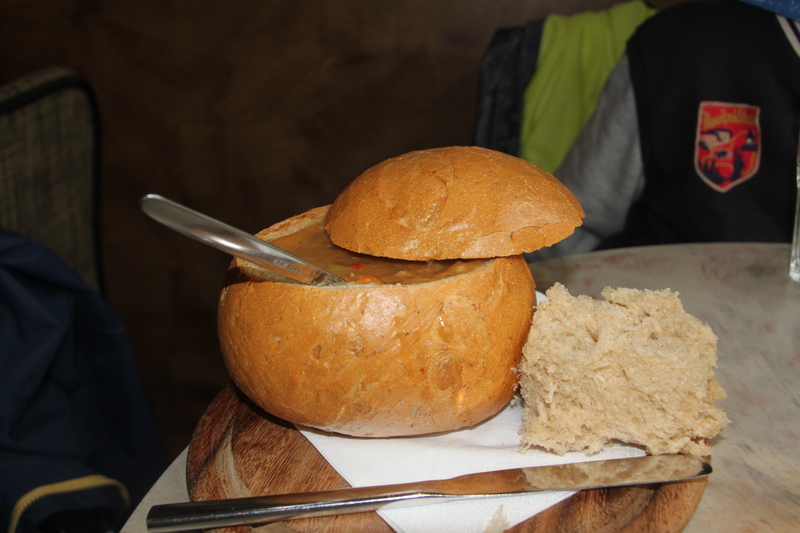 A giant bread roll filled with steaming hot, tasty soup – just the thing after a freezing morning at the beach. Why Is Iceland Great For Families?